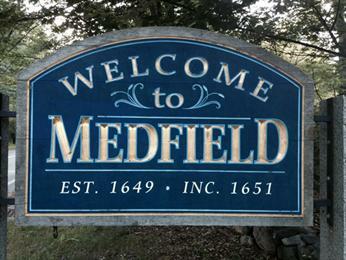 The very strong Sellers’ Market continues in Medfield MA for the 3rd quarter of 2018. In all price ranges, houses are selling very quickly. A total of 52 single family homes sold in the 3rd quarter, an increase from 39 sold in the 2nd quarter and 19 in the first quarter. The overall Average Sales Price was $716,712. How Did Houses Sell Based on Number of Bedrooms? During the 3rd quarter, the rate at which 3-bedroom houses sold was 1 every 5.75 days; 4-bedroom houses sold at the rate of 1 every 3.53 days and 5-bedroom houses sold every at the rate of 1 every 10.22 days. How Did Houses Sell Based on Price Range? It’s interesting to see that homes in the $600,000 price range and in the $800,000 price range sold at the same rate, and homes in the $700,000 and $900,000 had the same rate of sale. Why is it helpful to know the rate of sale? As an example, let’s say your house is one of 5 houses for sale in Medfield in the $800,000 price range. You know that these homes are currently selling at a rate of 1 every 18 days (see above chart). 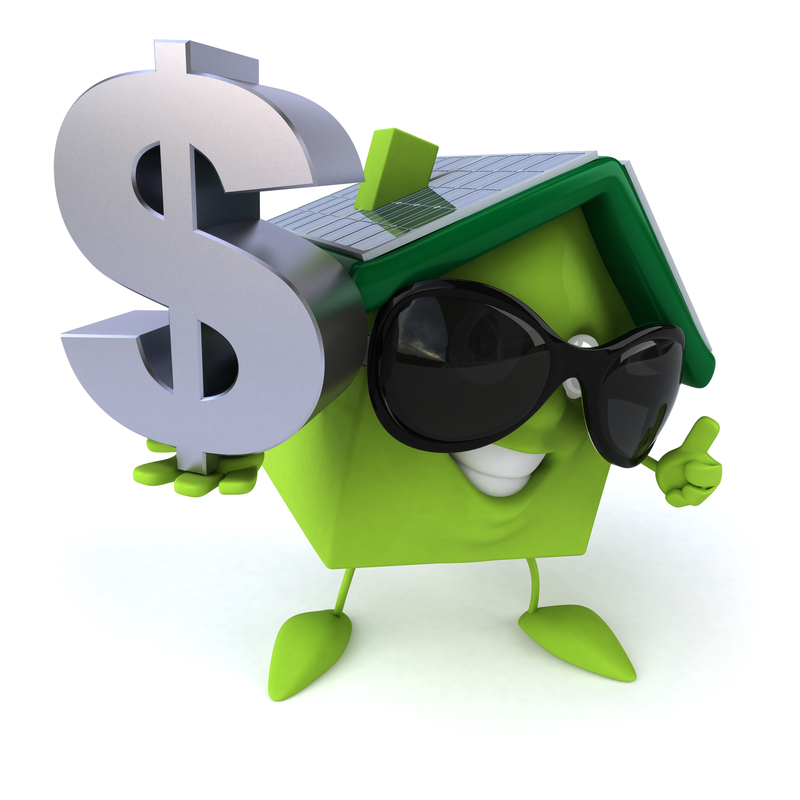 Do you want your house to sell in the 1st 18 days or in 90 days? This is where I use my pricing expertise, knowledge of the local real estate market and my marketing skills to help you. The time it would take to sell the entire inventory of houses if no other houses came on the market is called the Absorption Rate. In the example above, the Absorption Rate is 90 days. Absorption Rate also tells you whether we’re in a Sellers’ Market, a Buyers’ Market or a Balanced Market. A Sellers’ Market refers to inventory that sells in less than 6 months. A Buyers’ Market refers to more than 6 months to sell the inventory. It’s all about supply and demand. 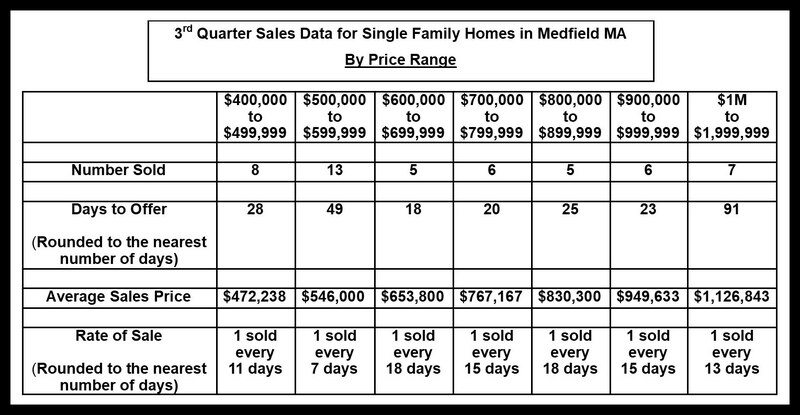 Even though it’s a Sellers’ Market in Medfield MA, the houses which are priced correctly attract the most buyer interest, sell the quickest and for the highest prices. A Seller whose house sits on the market for months typically has to lower the List Price before receiving an offer. At that point, the largest pool of potential buyers have already decided to move on to consider other houses. Your home is an investment. Often the biggest investments you have. You don’t want to lose money from your investment just because your house was not priced correctly for what it offers compared to its competition. When you’re ready to sell your home, call Nina Rogoff, The Results Team of RE/MAX Executive Realty at 781-883-3764. I’ll provide you with a Comparative Market Analysis of your home to help you understand it’s value in the current market.